If you are looking for a fundraising event for your organization, King Island Christmas is a proven money-maker. 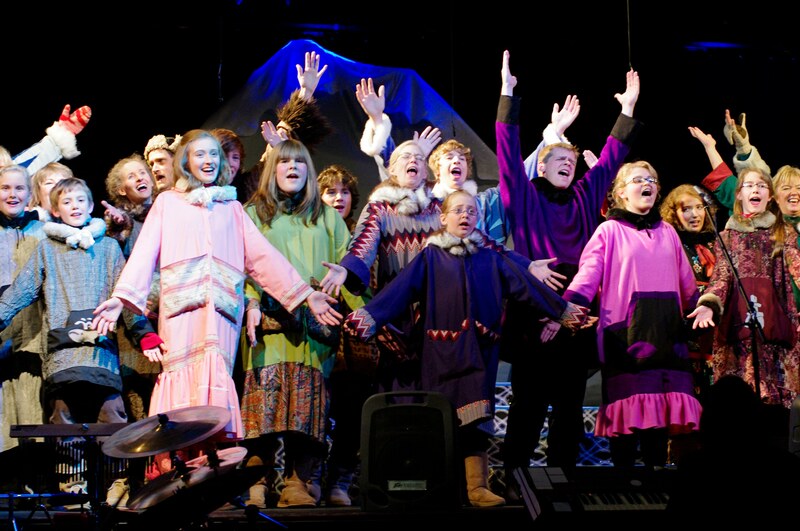 Since 1997 concert presentations of King Island Christmas have raised hundreds of thousands of dollars for libraries, medical centers, arts groups and charitable organizations. 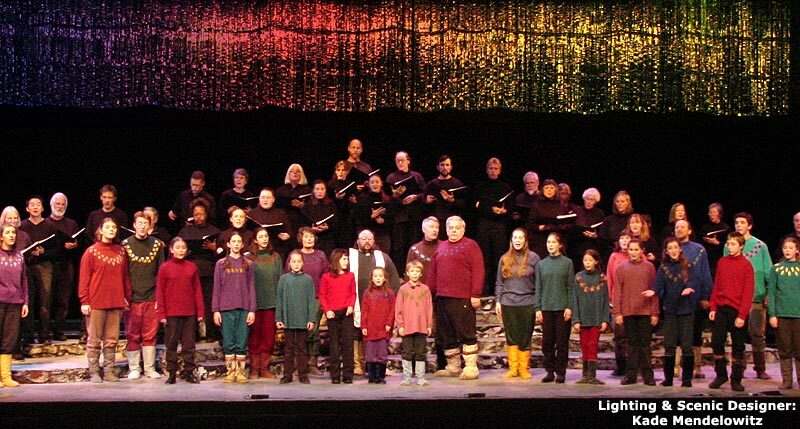 In Eureka, California, the Oomiak Foundation brought together the musical and theatrical talents of Humboldt County to raise over a quarter of a million dollars for seriously ill children by presenting holiday performances of King Island Christmas. 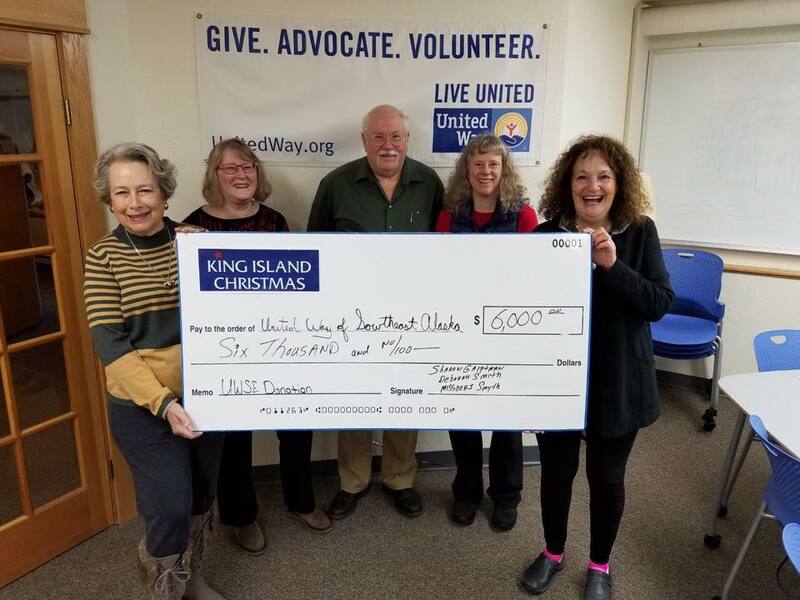 In Juneau, Alaska, the proceeds from concert presentations of King Island Christmas raised $6,000 for the United Way of Southeast Alaska. Songs from King Island Christmas were used by the Duke Children’s Classic Golf Tournament to raise over $4 million dollars – enough to break ground for the construction of the new Duke Children’s Hospital. 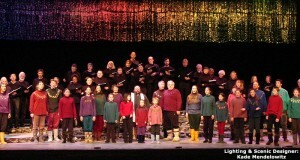 The medical staff at Duke Medical Center performed King Island Christmas to raise funds to purchase medical equipment. 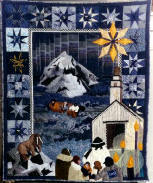 A local quilter made this quilt, telling the story of King Island Christmas. It was the grand prize in a raffle to raise funds for the Oomiak Foundation. To give your benefit concert of King Island Christmas an added lift, you may want to consider bringing in a Broadway actor to sing with your local chorus. 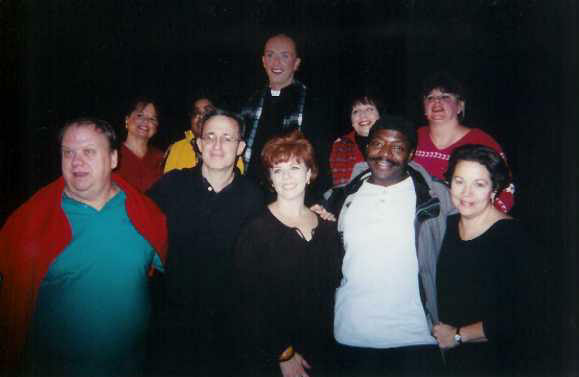 OVER THE MOUNTAIN MUSIC can provide you with Broadway notables such as Chuck Cooper (Tony Award for The Life) Chris Groendaal (Passion, Sweeny Todd) and others to appear in your concert presentation. Composer David Friedman, who has conducted numerous Broadway shows, may also available to conduct your local orchestra, or to do musical coordination of your chorus and musicians at your final dress rehearsal. 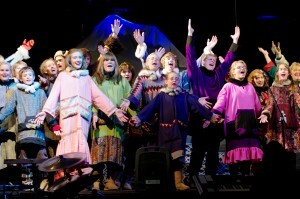 Experienced stage directors may also be hired to direct your benefit concert as well. Contact us about costs and details.